This small lifestyle hotel with 24 tastefully decorated rooms is situated in the heart of 1700 years old Diocletian's Palace. 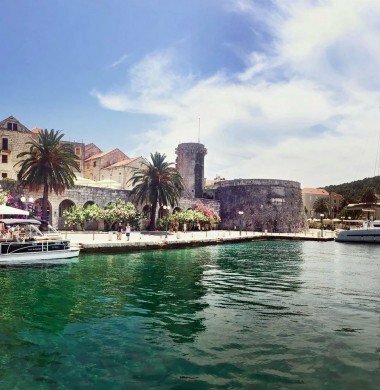 Location is ideal for those who want to feel the atmosphere of the Split because it is near the Split waterfront, numerous restaurants and bars, and many cultural attractions. What a fabulous trip! This company is absolutely first rate. Krunoslav and Petra, who not only own the company, but accompany you on the tour, are engaging, knowledgeable, and amazingly organized.The hotels, the food, and the routes which were chosen were all excellent. We both ride electric bikes at our home in San Diego, and they provided us with superb electric bikes. Better than the ones we own. The electric bikes allowed us to arrive at our destination after doing quite a few hills, with big smiles on our faces. 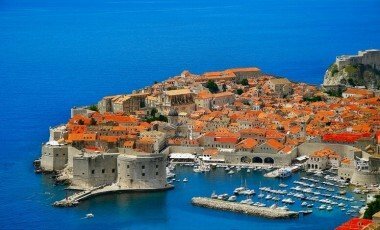 I strongly recommend that you spend two extra days before the trip in Split, and two extra days at the end of the trip in the Dubrovnik. Both are Fascinating beautiful cities. Thank you Krunoslav and Petra for a remarkable week in lovely Croatia......probably the best organized bike trip we've ever done!! 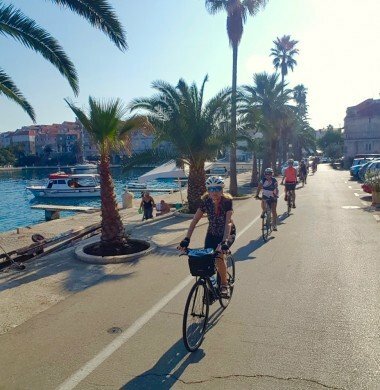 First of all, Croatia is an extraordinary place to visit and to bicycle. 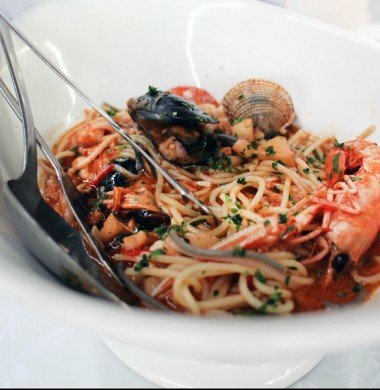 The scenery is amazing, the history deep and fascinating, and the food fresh, delicious, and healthy. The views from the ridges of the Dalmatian islands were exceptional. 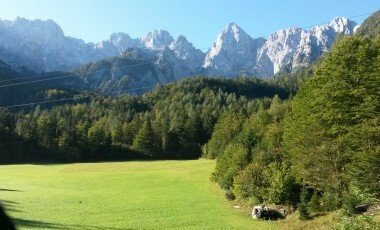 Kruno and Petra provided a wonderful mix of thoughtful bike routes, extra features, and fine dining. They were supportive of all levels of biking, including ambitious road-bikers and slower tourers. They provided van support whenever needed, and they and their team quickly attended to any needed bike adjustments. All bike equipment was in excellent condition. Once Petra knew that one of us was keenly interested in horticulture she was quick to provide as much information as possible. 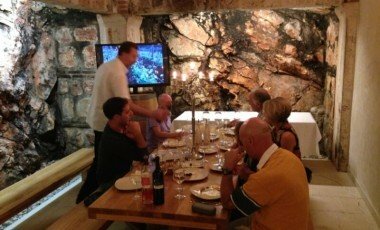 All meals were included, as were frequent wine tastings, a visit to an olive-oil museum, and an oyster tasting at a cultivated-oyster farm. Two of the meals were very special, in that they had connections to organic farming and gardening and were prepared by dedicated artisans in their homes.The hotels were all excellent and ranged from accommodations within the Diocletian Palace in Split to beach resorts to a luxurious facility overhanging Dubrovnik.Because of the personal attention, the inclusion of all the meals, and the choices of hotels and restaurants, this was not only a spectacular tour but also an extraordinary value. 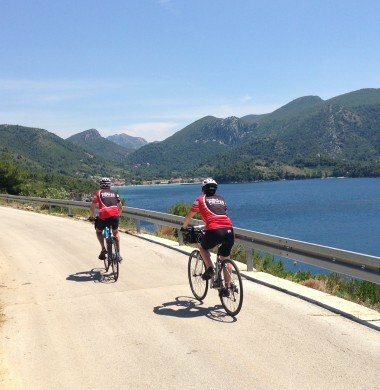 I would recommend Cycling Croatia with Kruno and Petra to anyone. We just returned home after the 10 day/9 night Dalmatia and National Parks tour, with an extra (independent) day in Zagreb and Dubrovnik that Kruno helped arrange. I won't bore you with all the details of our trip - just assure you that you can't go wrong signing up for this one. 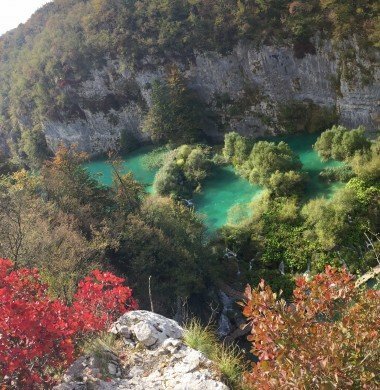 Croatia is stunning anyways - I quickly adopted #allbeautifulallthetime when posting photos. 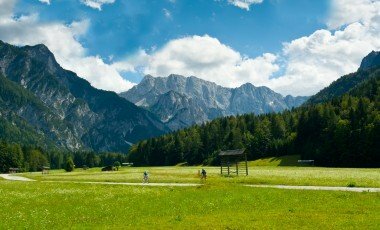 Bottom line: great country, great value, great itinerary, great guides, great food, great wine. Highly recommended. We took this tour with Kruno and his team in early October 2016. 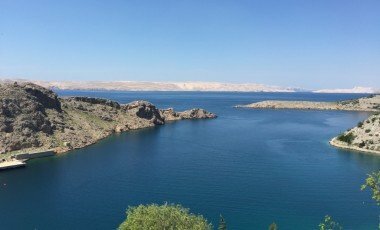 If you have time, we'd highly recommend the National parks addition to the Dalmatia Tour - they really have to be seen to be believed and the descent overlooking Pag Island was one of the highlights of our trip. 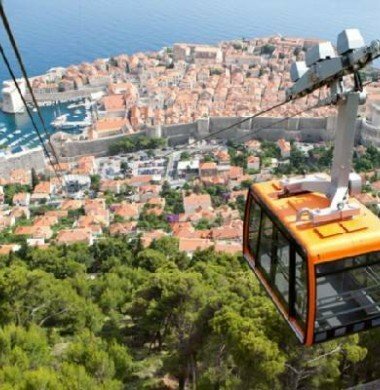 As with all the other reviews, we were blown away by the scenery: rugged mountains; crystal clear waters that you could see through forever; Plitvice Lakes (extraordinary - no photo can really do it justice); the islands, with their variations; and of course the cities with the Dioletician Palace in Split and the walled city of Dubrovnik. From the pick up at the airport to final arrival in Dubrovnik, everything was taken care of. It was great to know we were in such safe hands. Kruno and his team (Mario and the others) were all terrific: nothing was too much trouble. 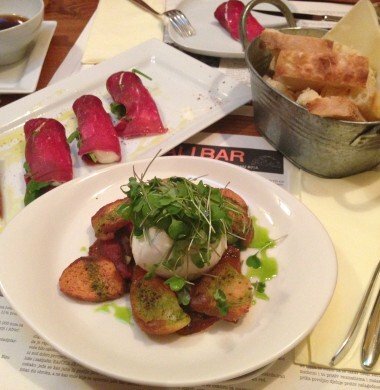 The food was fabulous with lots of traditional fare at lunch and great evening meals in unusual locations, rather than the standard restaurant fare you might expect. As they say in Australia "do yourself a favor!" And book this trip! 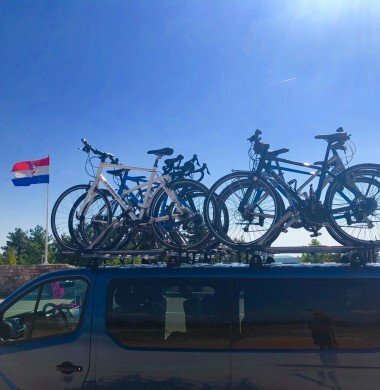 We toured with Cycling Croatia in July 14, our family of 4 (inc sons aged 19 & 16) was a mixture of different abilities and fitness levels; it was one of the best holidays we've ever had. 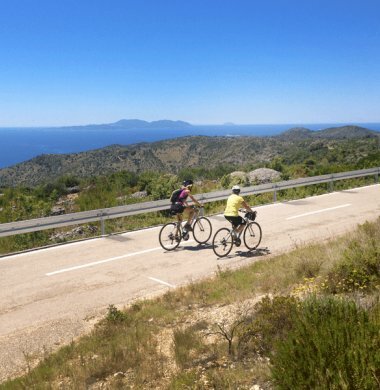 The holiday itself was very well organised, the cycling was challenging enough for one very keen cyclist in our group, and enjoyable for everyone thanks to the great support for those who didn't want so much of a challenge. and beautiful bays with wonderful swimming that it seemed only Croatians knew about. The accommodation was of mixed quality - there were a couple of amusingly 'quirky' hotels (and I should mention that one of these isn't on the standard list for this tour - our tour was tailored to our own needs with a couple of extra nights) - but all were in great locations, and didn't diminish the overall quality of the tour/holiday. A couple of the hotels were exceptionally good. 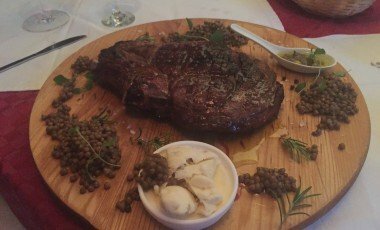 In summary: we ate, drank (quite a lot - Zivjeli! 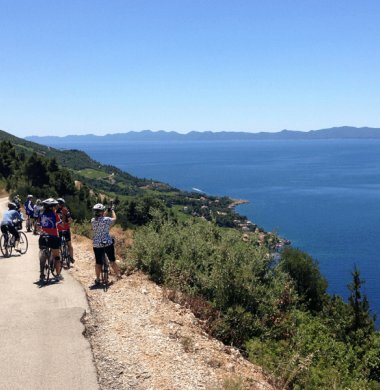 ), cycled, sweated, and laughed all the way around beautiful Southern Dalmatia in great company. It was an outstanding holiday. We look forward to cycling with them again in future. 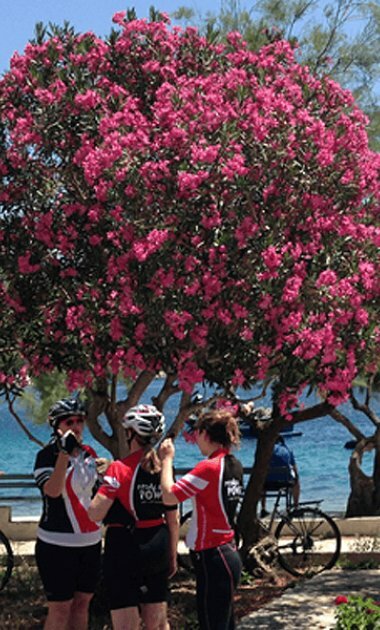 We cycled with Kruno and his team from June 13-19, it was our first cycling holidays. 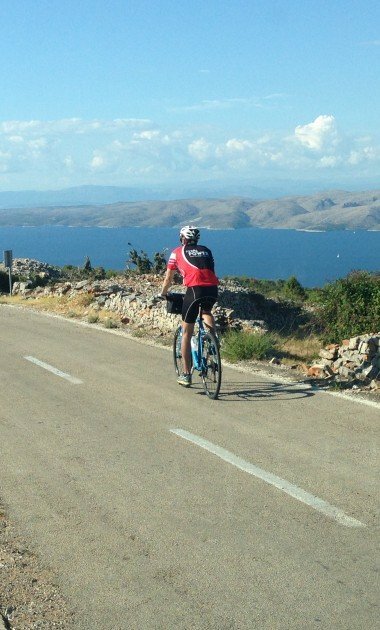 I usually go to all inclusive resorts and go for daily excursions, but with Cycling Croatia, the vacation is the excursion. Yes you'll likely be tired at first, but it's a good tired and you'll be rewarded with excellent food and company each day. By the end of the week, I felt like a million bucks. Also, I can't say enough about the professionalism of Krunos and his team. The are extremely friendly, always prepared and will bend over backwards for their guest. The bikes were brand new shinny trek 7.4 hybrids or trek road bikes (not sure what model) but also new. My wife and I both started with a road bikes, but quickly discovered using hybrids was the way to go. Not used to road bikes, Kruno traded my bike for the hybrid he was using half-way during the first ride. After coming into a curb too hard, the boys repaired my flat tire like a nascar pit crew. 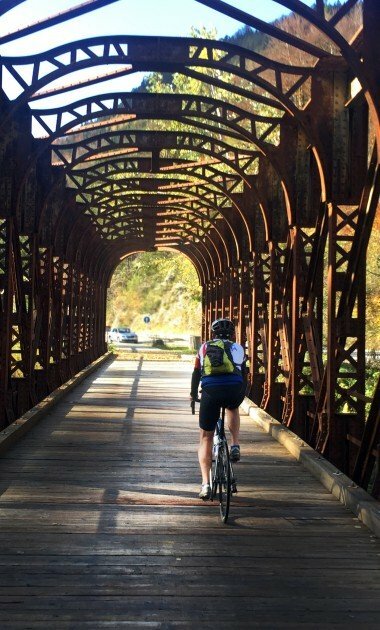 Looking at the daily distances, we initially believed that we would tour for only half-days and quickly realized that the daily rides are actually meant to fill out the day (but with breaks to visit wineries, an olive oil factory, oyster and mussels tasting, etc). Dinners were always filled with good conversation (group dinners every night except for one evening), the food was good to excellent and wine (or the drink of your choice) was included most nights. Marco with his interesting history lessons will take you back in time and teach you (in an amusing way) about Croatian history. I guess my only complaint was disbanding our group on the last day. Five stars for this class act company!!!! 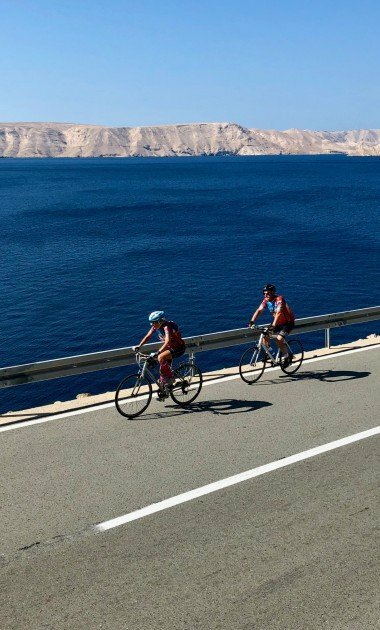 My wife and I have recently returned from the Dalmatia Cycling trip, and quite simply, it was the best holiday we have had in years. 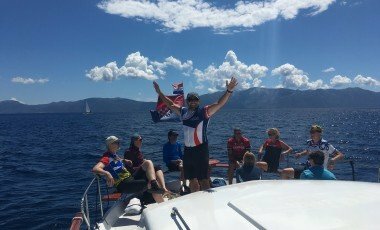 The coastal scenery is stunning, the food and drink are excellent, and the trip itself is very well planned and organised by Kruno and Petra. They really were the perfect hosts, with Petra taking care of you on the bike, and Kruno following closely in his van should you need any help. The help extended to more water, ice, fruit, snacks, and if you wanted a rest, putting your bike on the roof rack and helping you into the van. Spot on. No stress, no pressure to keep up with the group, just do your own thing knowing that help is never far away. So, the same as other trips then? Not really. The difference on this trip was the emphasis that both Kruno and Petra paid to make sure everything ran smoothly and that you had a really enjoyable time. 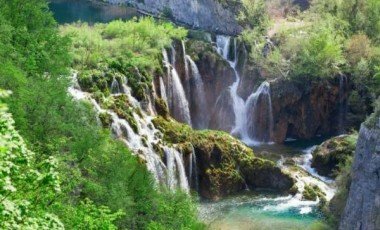 Nothing is too much trouble, and you see and do things that most tourists to Croatia will never experience. 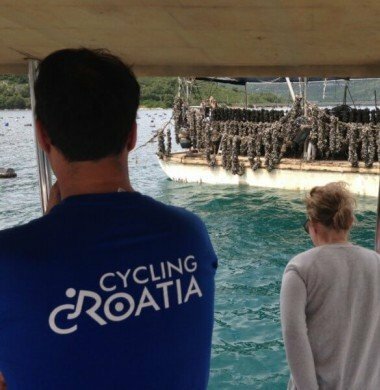 The oyster farm for instance, plus the meal with the local family on Korcula was epic. I have never seen so much meat placed in front of a small group of people. We did our best, but we were never going to finish it off. For me personally though, it was the small things that made this an 11/10 trip as opposed to simply 10/10. For instance, there are 3 winery visits on the itinerary, but whilst my wife loves the grape, I prefer a cold lager. 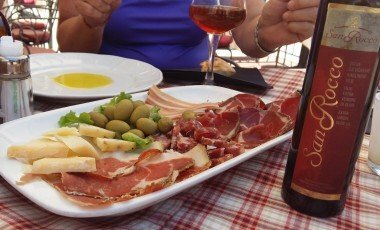 At dinner on the first evening, Kruno took note of this, and when we were sitting in front of a table of food at the first winery, and everyone was starting to sample their first wine, lo and behold, Kruno had popped to the van and returned with 2 ice cold bottles of beer for me. To say that was appreciated was an understatement, and at that moment in time, I would have given the trip a 12/10. Needless to say, that pattern continued at subsequent winery stops, plus the visit to the oyster farm. A small detail I know, but it's things like that that really do make the difference. So, would we recommend the trip? Absolutely. 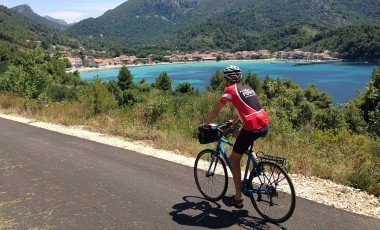 Would we return to Croatia for another cycling trip? 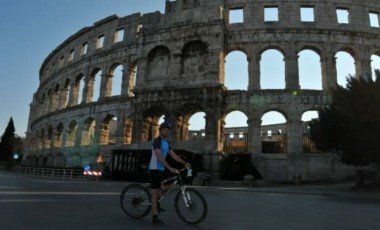 No doubt about it, and have already pencilled in a week next year, of course with Cycling Croatia, only this time on their trip further north. To conclude, a top trip, with top hosts, and I cannot recommend both Croatia and Cycling Croatia enough. overall point for satisfaction is a huge understatement! Kruno and Petra, the company owners, were our tour guides. They were extremely professional, friendly, very helpful, caring and informative. They were the best hosts any tour can dream of. They went the extra mile to help and accommodate all the individual needs. The meet and greet evening was great with the group. We had a great dinner together and our beautiful cycle shirts were handed to everyone. Kruno briefed us in detail about the first day and had everyone at ease and very excited. We had very good bicycles , helmets, water bottles and bags for small stuff on the bicycle – all tagged with your name. Small bags with personal belongings were transported in the backup van. Kruno drove the backup van and Petra joined us on the bicycles. Every morning we were briefed about the route and the plans for the day. We also received a detailed map and kilometre markings for each day. During the day we were entertained with lots of fruit, water, energy bars, ice etc. The backup van was always in the nearby distance. Accommodation (hotels) was excellent with great breakfast served and all were centrally located. The logistics (luggage, bikes, dinners etc.) was outstanding and Kruno was key in this success. 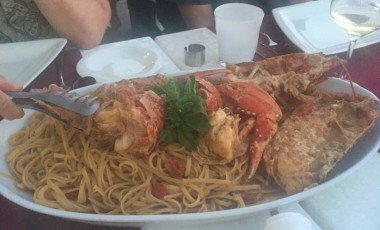 Kruno and Petra introduced us to Croatian food, wine and culture. 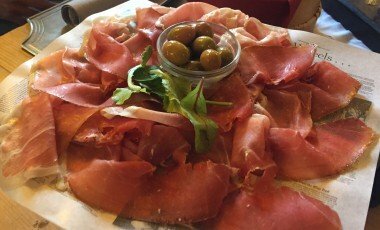 We visited several wine cellars for wine tasting and delicious snacks. The several flavours of grappa were fantastic!! 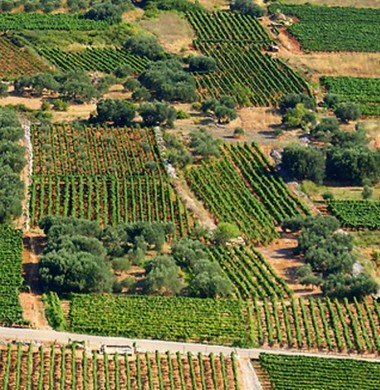 We also visited an ancient olive farm – again wine and snacks were served. The ferry to a private island to enjoy the fresh oysters and mussels was one of the many highlights!! We cycled about 50 km a day. The routes are well selected by Kruno and Petra. 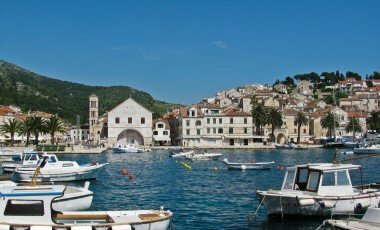 Croatia is really the most beautiful country we visited - especially the Adriatic Sea and little villages and harbours. The cameradie between the group members were fantastic. The rest of our group was 5 ladies from Denver and a travel writer. We had good laughs and motivated each other. We recommend this tour as a “must do”. It is absolute worth every pound. 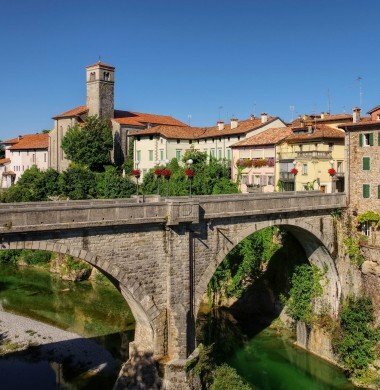 Everything is perfectly organized, the Dalmations are BEAUTIFUL and the guides SUPERB – just register for the tour, sit back on your bike, relax and enjoy every moment!! !